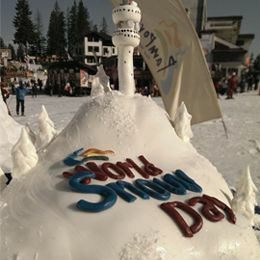 World Snow Day in Pamporovo passed with many smiles, positive mood, interesting games and sweet prizes. The heart of the event - our snow cube;) was focused to the late hours of the day. ToНu Cheresharov was the host of the event, also showed off his great skills on Line 2 at Pamporovo FunPark. The Game of the Day - "Snow quest" has enjoyed great success and challenged competition. The big prize of Pamporovo resort went to Martin Kyorovski - all inclusive winter weekend in hotel Perelik, Pamporovo. Congratulations to the winners and sweet snowy days to all of us !! !